Video: Last night an Emirates Airlines Boeing 777 crash landed in Dubai for reasons unknown. There were no fatalities during the incident in spite of the plane's front half being engulfed in flames. 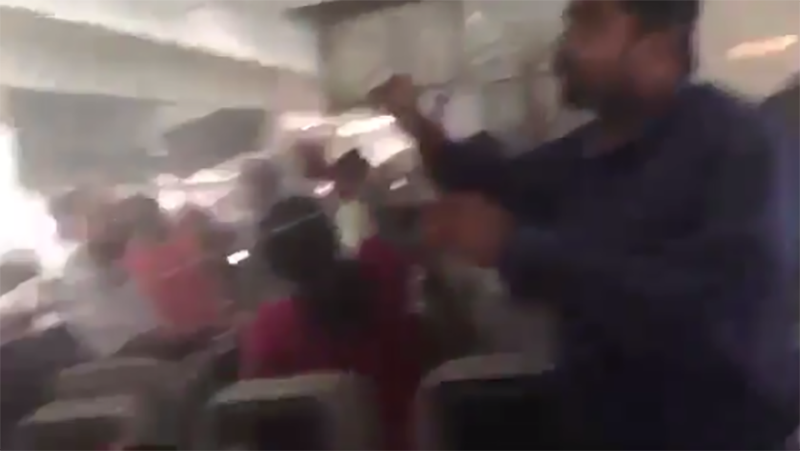 Now video has surfaced from inside flight EK521, and it looks like hell on Earth. The two-minute video depicts the passengers exiting the plane as best they can. Some panicked people were grabbing bags while the cabin crew insisted they leave them behind and exit via the emergency slides which had deployed.